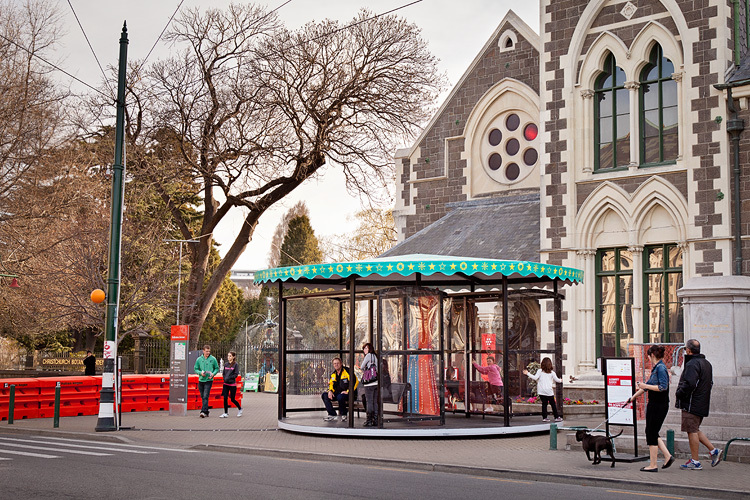 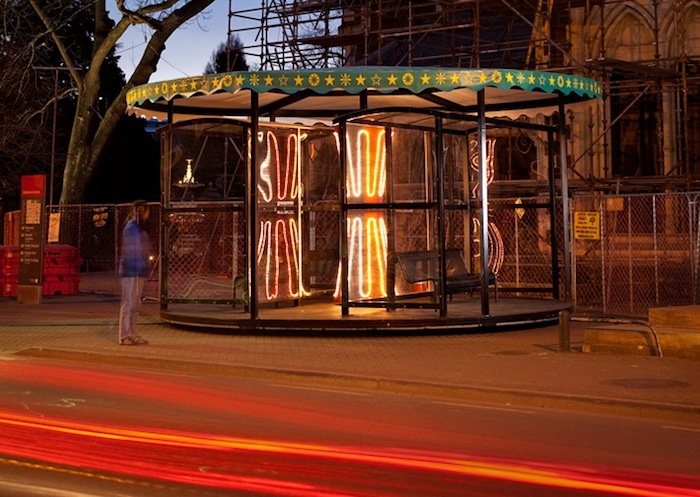 Interactive carousel / bus stop in Christchurch, New Zealand. 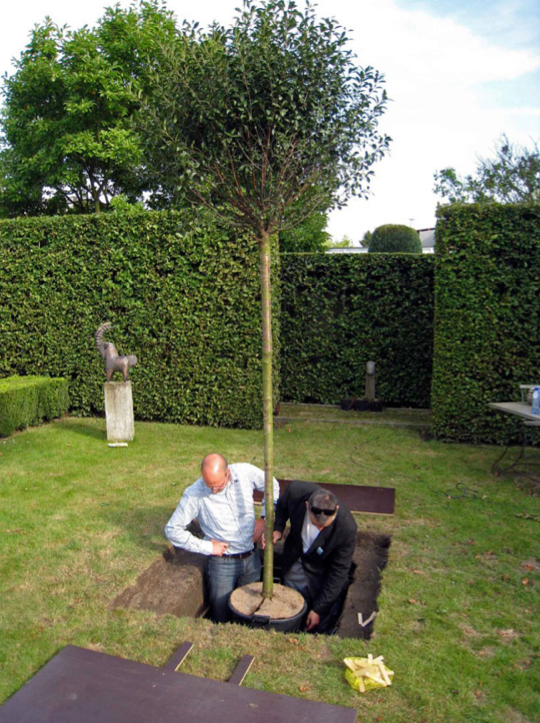 Honoré d’O made an installation called ‘Omgeving’ (‘Surroundings’) in which a small tree slowly spins round its axis. 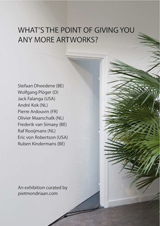 Below is a(n unclear) video of the work. 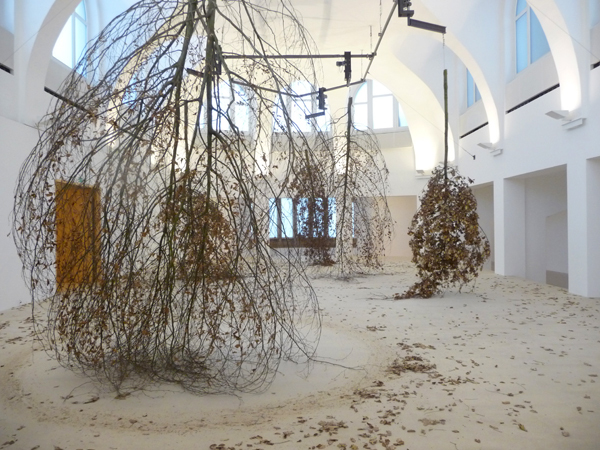 The installation ‘Forst’, by Michael Sailstorfer. 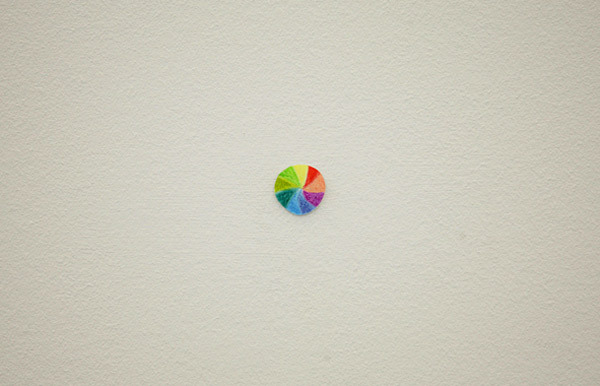 Seen at the Kestner Gesellschaft in Hannover.